Folding and Gluing — Becky's Die Cutting, Inc. If we cut it, we want to fold it and glue it, too. 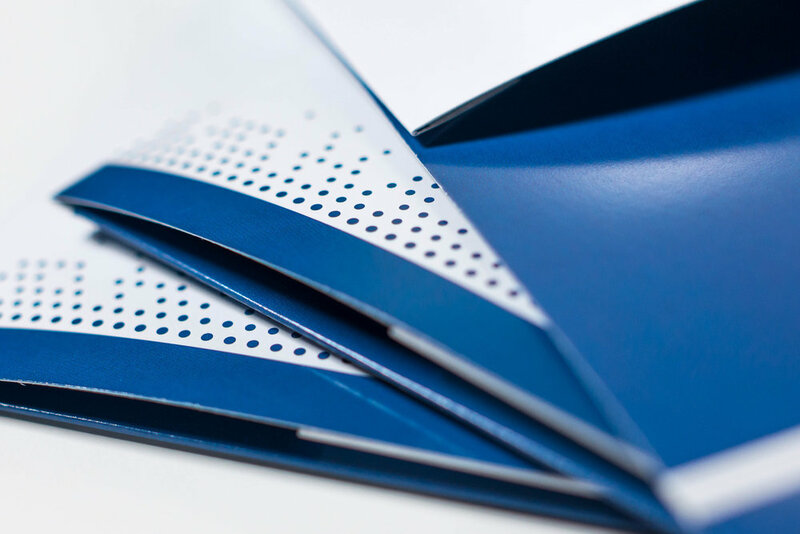 Our automated folding and gluing processes enable us to finish folders and other projects with extreme efficiency and reduced costs. Any projects that can’t be processed by our automated folding and gluing machine will benefit from our automated-taping machine with hand assembly. We offer everything from hand folding to the latest machine folding technology paired with our hot glue process or our specially formulated cold glue. At Becky's we will do an analysis of your project and offer our expert recommendation.